The Superkarts! USA Pro Tour SummerNationals is slated to take place at the New Castle Motorsports Park for a third straight year. The world-class facility in New Castle, Indiana is set to welcome SKUSA competitors to the third leg of the SKUSA Pro Tour championship chase on August 11-13. Each of the past two events at the New Castle facility have come just short of the 250 competitor mark, with SKUSA looking to set a record with the closing of the 2017 SKUSA Pro Tour. 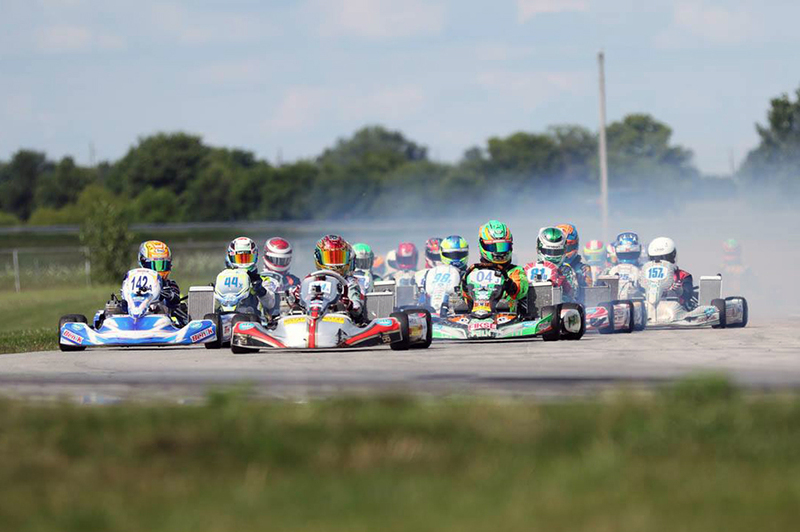 This will be the first time in the eight-year history of the SKUSA Pro Tour that it will end prior to the annual SKUSA SuperNationals, which served as the championship finale from 2010 to 2016. The addition of the SKUSA WinterNationals (NOLA) make the SKUSA Pro Tour a best five of six championship including the SpringNationals (Sonoma) and the upcoming SummerNationals (New Castle). The stakes will be high for the select few in the title chases for the nine categories ready to battle on the 1-mile course, roughly 45 minutes from the famed Indianapolis Motor Speedway. Many of the teams and competitors arrive early into the Indianapolis area to take a chance and explore the famed ‘Brickyard’ and the other attractions in the central Indiana city. All event information regarding the 2017 SKUSA Pro Tour SummerNationals will be available on the Pro Tour section of the SKUSA website this coming weekend. Online registration opens Sunday night, July 9 at 7pm PDT at the SKUSA MSR link – as well as additional purchase items at the SKUSAstore.com. Online entry closes Saturday, August 5 at 11:59pm PDT, with at track registration beginning Thursday, August 10 – for any remaining classes that are not sold out prior. The SummerNationals weekend schedule will follow a similar format as the WinterNationals and SpringNationals – with an unofficial practice hosted by the track set for Thursday, August 10, and then the nine divisions taking official practice sessions on Friday, followed by a complimentary BBQ dinner. Saturday and Sunday remain separate championship rounds – Five and Six for 2017 – with the Qualifying – Prefinal – Final format contested each day to decide the nine drivers who earn a spot in the coveted SKUSA Circle of Champions. Cash prizes are on the line in New Castle for the SummerNationals, with the S1 Pro Stock Honda and X30 Senior competitors racing for a weekend purse of $2500 each – with $1000 being awarded to the both winners. Other categories that begin the weekend with a minimum of 30 drivers will race for a weekend purse of $1,000. The SpringNationals was an emotional weekend for NorCal native Nic LeDuc, earning his first ever SKUSA Pro Tour victory in the S1 Pro Stock Honda division. LeDuc came out as the weekend winner to earn the $1,000 payday ahead of championship leader Jake French while Sunday winner Billy Musgrave, Hunter Pickett and Mathias Ramirez also took home cash. Defending X30 Senior champion Ryan Norberg put himself back into the lead position of the standings with the most points earned at the SpringNationals. Norberg, the Saturday SpringNationals winner, took home the $1,000 check, joined on the money podium by Brandon Jarsocrak, Cedrick Lupien, Sunday winner Braden Eves, while Jake Craig and Dante Yu tied to split the fifth place cash. X30 Junior and Mini Swift competitors also raced for cash prizes in Sonoma at the May SpringNationals. 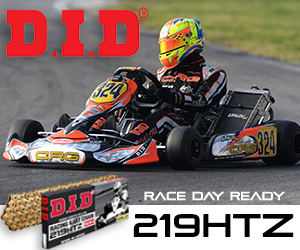 Jak Crawford came away with the $500 check in X30 Junior for the top weekend points with two podium finishes. Aiden Keel was second ($300), while Sunday winner Dylan Tavella was third ($200). Carson Morgan won both feature races, clinching the $500 payday in Mini Swift. Diego LaRoque and Reece Gold joined him on the money podium. Coverage from the SKUSA SpringNationals have been broadcasted on the CBS Sports Network multiple times over the last month, and are now available on MotorTrendOnDemand.com. eKartingNews.com continues its long partnership with SKUSA, broadcasting the live PA feed throughout the weekend via their Trackside Live page – ekartingnews.com/live.